Running a small business means planning for the unexpected. Without insurance your business is vulnerable to a number of events that could severely damage its ability to operate profitably. 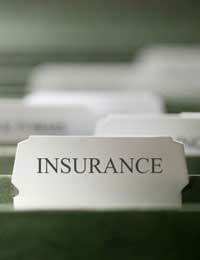 Some insurance types are compulsory for all business such as motor insurance and liability insurance if you have premises that the public visit. Consult your legal advisor as they will be able to give you a list of the insurance types your small business must have to comply with the law, and additional insurance types that might be useful to have if you can afford them. It’s important that you buy your business insurance from a reputable broker. You can locate an insurance broker in your area on the British Insurance Brokers’ Association website: www.biba.org.uk and on the Institute of Insurance Brokers website: www.iib-uk.com. Also, get an insurance quote from a number of suppliers. You’ll be surprised at the variety of the insurance quotes you’ll get. Your premises (retail and office based) need protecting against fire or flood. Buildings insurance my be taken care of by your landlord, but don’t assume this. Always check the details in your premises lease. You may find that buildings insurance is your responsibility. Covering the contents of your premises (stock and machinery) is also a good idea. You may hold expensive stock in a retail premises for instance that your franchise business needs to operate. Protecting this with insurance allows you to plan for unforeseen events. You never know what might stop your new small business in its tracks. Natural events such as floods are usually covered in buildings insurance, but other events that stop your business from operating normally can also be insured against. Check with your broker about the details of what kind of interruptions (sometimes called continuity insurance) you can get cover for. If your small business produces a product you can insure against that product being faulty and causing damage to the person who bought it from your business. If you sub-contract the manufacture of your business’s products, this type of insurance could be useful. A business that trades from retail premises in the high street for instance can protect themselves against any accidents that might befall a customer that comes into their shop or store. Good examples are customers tripping and hurting themselves that could end up in court with a claim for compensation. Public liability insurance covers your small business against the cost of this action. If you are running a small business alone you can protect yourself against critical illness that might stop you from operating your franchise business normally. You can also buy income protection to guarantee a certain level of income if you are unable to work within your business. Lastly, planning for any future health problems is also a good idea for all owner/managers, so private health insurance is well worth taking out. Never assume that your home contents and buildings insurance will cover your home-based small business for any future event. Contact your buildings and contents insurance suppliers to double-check the cover they are providing you with does cover your business activities. If not, you can take out specialised insurance aimed at home-based businesses. An alarm can be placed on all doors and windows. The alarm you install should comply with British standards as your insurance broker will want to see that you are using high quality products. Don’t forget to also include smoke alarms. This technology has become almost ubiquitous for high street retail premises. Using the latest technology the price of sophisticated systems is now low enough for even the smallest of businesses to install cameras. Strong locks, deadbolts and security grills or shutters can all be used in combination to protect your premises. Many insurance brokers will insist on a minimum level of physical security before they offer your business an insurance policy. Is Your Personality Right for Self-Employment? Quiz: Are You Ready to Run a Franchise? Which Franchise Business is Right For You? Franchise Legal Structures: Where Do I Stand? Hiring Staff: What Are the Financial Implications? Lines of Communication: Who Works for Whom? Limited or Unincorporated: Which is Right for Me? What Tax Does a Franchise Owner Pay?